Bidean nam Bian and Stob Coire Sgreamach are two peaks about 1km apart on a ridge running NW to SE from Glen Coe to Glen Etive. Collectively they have three ridges, running NE, the steep rocky ends of which are the Three Sisters which dominate Glen Coe. 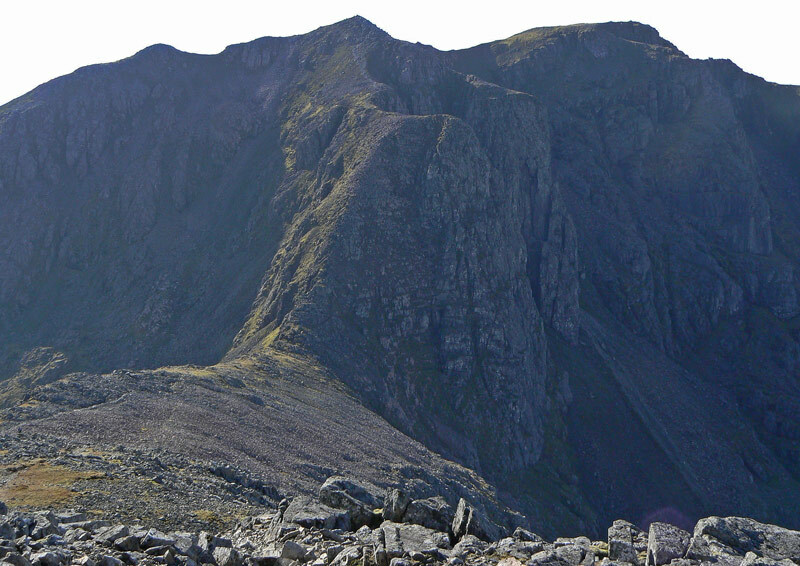 Bidean nam Bian is the larger and more complex mountain. To the SE a steep ridge links to Stob Coire Sgreamach. To the NE a ridge leads to Stob Coire nan Lochan beyond which it splits to give two NE ridges, Aonach Dubh and Gearr Aonach, between which lies Coire nan Lochan. The path into Coire nan Lochan facilitates an ascent of the grassy NW slopes of Gearr Aonach leading to the rocky E slopes of Stop Coire nan Lochan. A further long ridge runs W turning NW to Stob Coire nam Beithe and on to An t-Sron to enclose Coire nam Beith. A well maintained path leads into this corrie from Glen Coe and once in the corrie, ascents can be made to the col between Stob Coire nan Lochan and Bidean nam Bian or the col between Stob Coire nam Beith and An t-Sron. Bidean nam Bian from Stob Coire nan Lochan; 12th October 2010. Stob Coire nan Lochan, showing the Zig-Zags route on Gearr Aonach; 1 May 2012. Looking up the north-east ridge to the summit of Stob Coire nan Lochan. 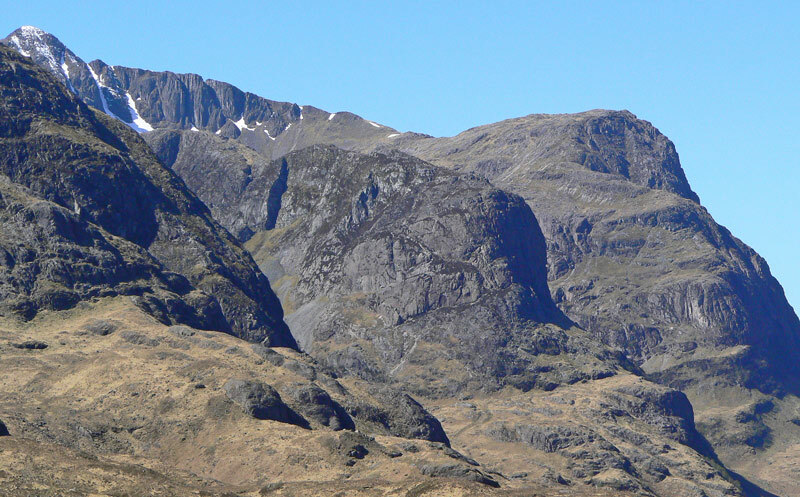 The summary information of one or more ascent routes that include Bidean nam Bian. 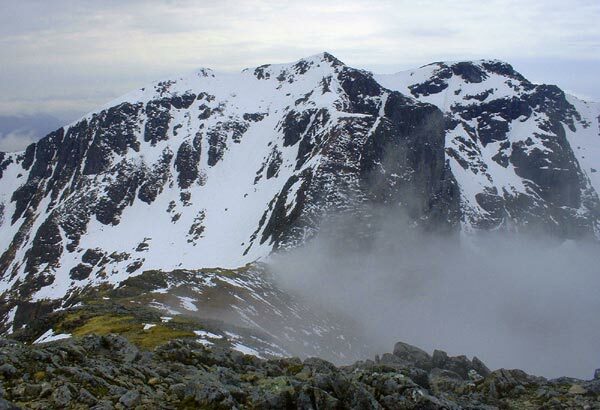 1 1320 m 12.93 km 5 hrs Bidean nam Bian and Stob Coire Sgreamhach This is a classic route relatively easy in summer, moderate in winter. 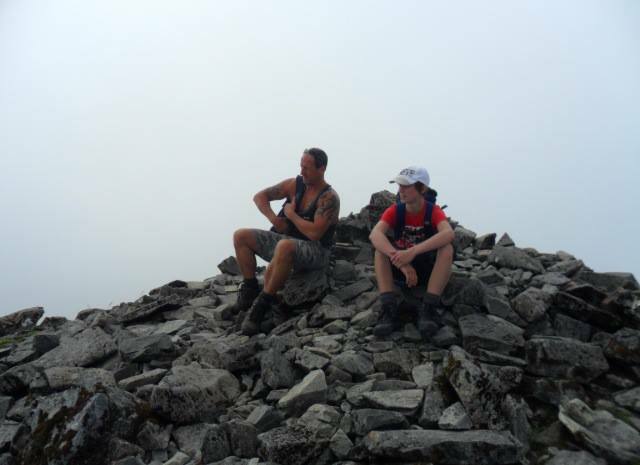 Me and Scott at the top of Bidean!! 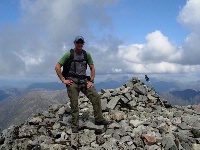 Summit Bidean nam Bian 12.07.11. 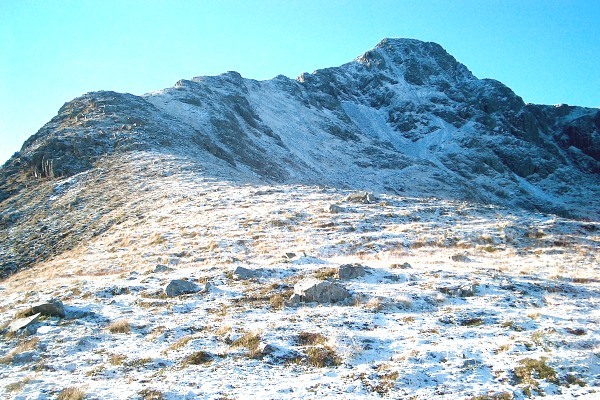 Post a few words about Bidean nam Bian or read what others have had to say. 2nd time round..still hard work but worth it..came out thru the lost valley this time, very steep descent initially over loose scree but settled down once nearer the valley, had to scramble over the boulders and cross the river in the dark..great fun. Circuit over both Munros via lost valley and Coire nan Lochan on excellent made paths for majority of way. Started to feel the chill of winter as I climbed ascending via Coire Nan Lochan. Louie (my dog) and I enjoyed the solitude that this route offered. Visibility was good untill the summit with the occasional shower. The best mountain yet. Great scramble up to Lochan then an easy traverse up the ridge to Bidean. The massive buttress after Lochan is magnificent, seeing that is worth the climb alone. 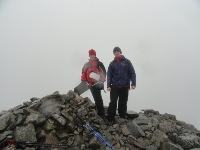 We continued (myself and my mate Marty) to summit Sgreamhach, an easy scramble at this time of year. Definately coming back in the winter as both mountains look more impressive and challenging at this time of year. Fantastic views over the Lost Valley. The descent can be tricky at all times of year, steep and hazardous. In winter it fills with snow and I can imagine avalanche conditions being prevelant. The Bidean massif is a truely magnificent mountain. I love this hill. Climbed it with my mate Iain may 04 on a beautiful sunny day. Beware though, it demands respect. Steep sides with big drops coupled with loose scree paths make this a serious days climbing. It's all worth it though. 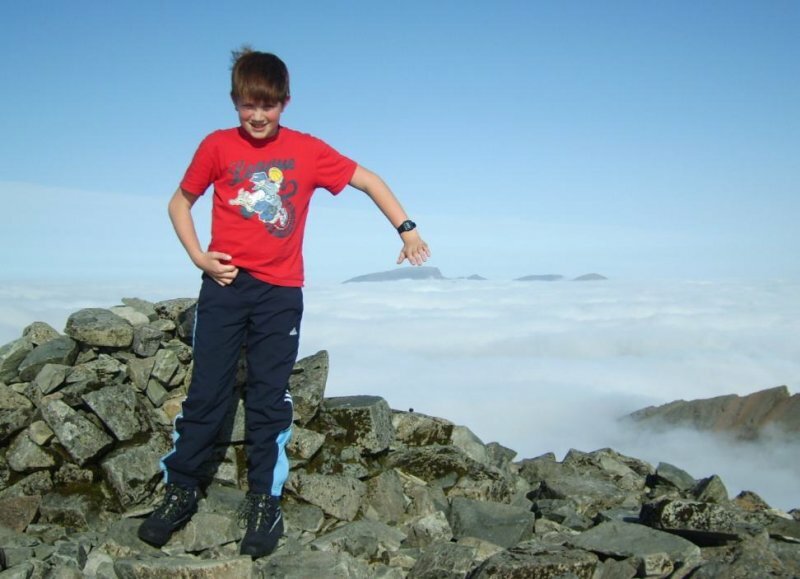 The views from the tops are incredible, especially of the Aonach Eagach ridge. The route through Coire Gabhail and the Lost Valley is the busiest route up the mountain, it's also the best in my opinion. When on the top take the time to ascend Stob Coire Nan Lochan. A viewpoint to beat all others.